Midlife crisis for Mr. Voser? The petroleum industry is still absorbing the recent, surprising resignation of Peter Voser, CEO of Royal Dutch Shell. Mr. Voser had been riding high with many successes during his stewardship of the petroleum giant. Yet, at the peak of his game at age 54, he resigned, wanting a “lifestyle change,” and to spend more time with his family. Nigeria's unemployment situation is set to worsen, as the fate of about 10,000 workers in the Olokola Liquefied Natural Gas project, OKLNG, is currently on the line, following the pulling out of Chevron and Shell, which threatens the continuation of the project. 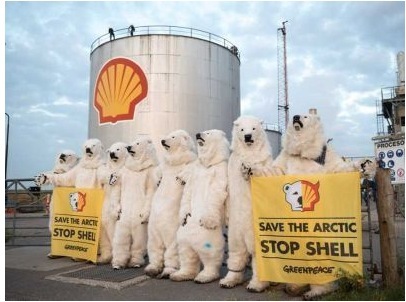 Shellâ€™s oil refinery in the Jutland city of Fredericia was invaded by about 40 Greenpeace activists dressed up like polar bears early this morning. The activists forced entry to the Dutch oil giantâ€™s refinery just after 6am and a group of them immediately began climbing up one of the refineryâ€™s large silos , where they hung a banner featuring an image of the well-known yellow and red Shell logo juxtaposed with a polar bear’s face. (Reuters) – Josef Ackermann, the chairman of Zurich Insurance (ZURN.VX) and former Deutsche Bank boss (DBKGn.DE), resigned on Thursday over the apparent suicide of the insurer’s chief financial officer, further roiling the top ranks of the firm. Ackermann said the family of Pierrer Wauthier, who worked at Europe’s No. 3 insurance group for 17 years, believed he shared some of the blame for his death. The latest news is that Roadbridge, the main contractor on the scandal ridden Corrib Gas Project has categorically denied allegations by a sub-contractor, OSSL, that Roadbridge was involved in handling any invoice related to â€œillegal or unethical activityâ€. Does this mean that Roadbridge will join the long queue of parties that appear to have grounds for a defamation action, but for some reason, do not actually launch legal proceedings? For several months Mr. Alan Shatter TD, the Irish Minister for Justice, has been aware of the Shell Garda Corruption scandal that has led to the Garda being the subject of public ridicule on YouTube and in the print media. Printed below is his answer to a question kindly raised on my behalf in the Irish Parliament by Clare Daly TD. It is followed by a response email sent directly to me on his behalf. 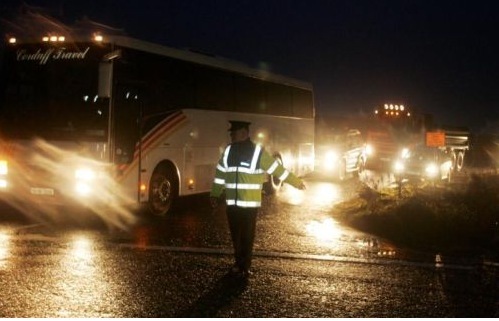 Garda directing vehicles at Shell’s gas refinery site at Ballinaboy in north Mayo. 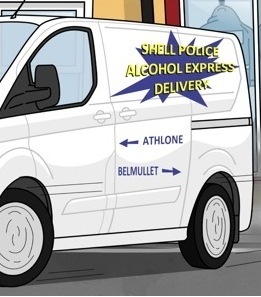 A former Shell contractor, OSSL, claims it made deliveries of alcohol to Belmullet Garda station between 2005 and 2007, claims which Shell denies. The Corrib gas projects main contractor Roadbridge has confirmed it handled invoices for the company in dispute with Shell E&P Ireland over alleged non-payment for alcohol deliveries. In a statement by spokesman John Monaghan, the community group reiterated the fact that it was â€˜committed to solving the continued difficulties with the ongoing Shell-Statoil Corrib Gas controversyâ€™, but was â€˜extremely concerned about the most recent developments regarding allegations of bribery and deception involving senior members of An Garda SiochÃ¡na and agents acting on behalf of the Corrib developersâ€™. A SENIOR garda confirmed yesterday he â€˜was in the process of arranging a meetingâ€™ with the former Corrib gas contractor who claims he delivered almost â‚¬30,000 worth of booze on behalf of Shell to Belmullet Garda Station before Christmas 2007, while smaller amounts were delivered as festive gifts the previous two years. Video of our rather hilarious hijack of Sunday’s Shell-sponsored Formula 1 ceremony has been pulled by YouTube following a “Copyright” (AKA “Embarrassment”) complaint. While the take down appears to have been ordered by the Formula 1 organisers, we suspect Shell is pleased. They may even be behind it. Now, why would we think that? A month has passed since the death of my father, Alfred Donovan, at the age of 96. A war disabled and decorated veteran who spent 12 years in the British Army. I have received many moving tributes and messages of condolences from friends and critics, for which I am most sincerely grateful. But not one word from Shell. 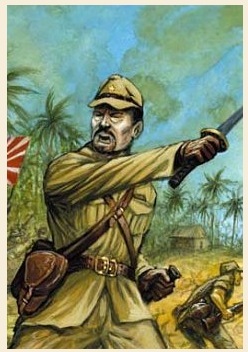 No gallantly shown towards a formidable opponent of Shell in recent decades (and the Japanese invaders in Burma during World War 2). Royal Dutch Shell Plc shale gas drilling plans for South Africaâ€™s Karoo semi-desert are pitting the government and its energy goals against farmers and conservationists like billionaire Johann Rupert who say the land will be spoiled. 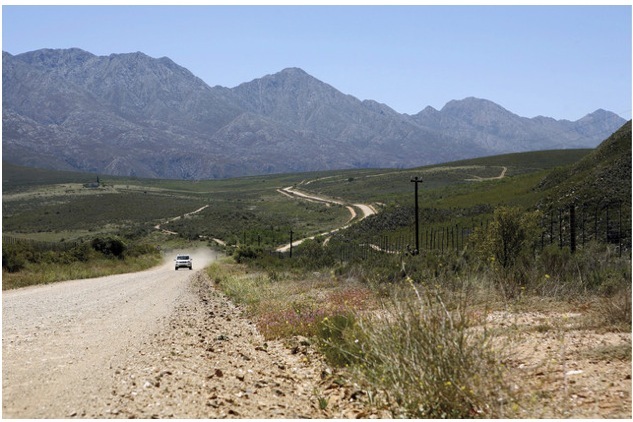 Royal Dutch Shell Plc (RDSA)â€™s shale gas drilling plans for South Africaâ€™s Karoo semi-desert are pitting the government and its energy goals against farmers and conservationists like billionaire Johann Rupert who say the land will be spoiled. A Greenpeace activist managed to scale the Belgian Grand Prix podium as Sebastian Vettel was celebrating his fifth victory of the Formula One season. The female, protesting against race sponsor Shell and their Arctic oil programme, managed to unfurl a banner which read ‘Congratulations! Now help us save the Arctic!’ while abseiling above the podium celebrations. Iraq’s oil ministry, struggling with sputtering output, has blamed Anglo-Dutch energy giant Shell over $4.6 billion in lost revenue due to production delays, in a letter seen by AFP on Monday. Published in Phoenix magazine – the Irish equivalent of Private Eye. Click on image to enlarge. 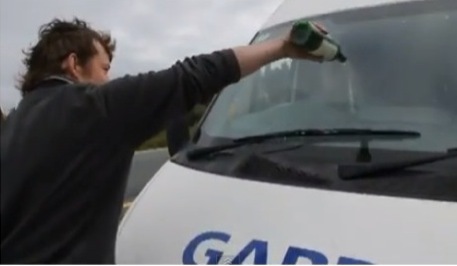 There were wild scenes yesterday after the official opening of the Shell to Belmullet Garda beer pipe. Top brass from the Gardai Siochana were on hand to join in one of the biggest piss-ups in the force’s history. The beer pipe was officially opened at 12 noon and within 30 minutes Gardai could be seen vomiting, cavorting and stumbling all over the place. 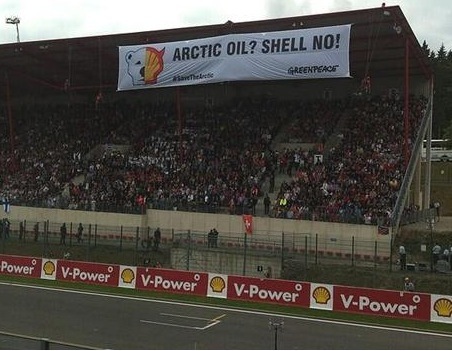 Greenpeace activists attempted to disrupt the build-up to the Belgian Grand Prix after unfolding a large banner on the main start-finish grandstand. 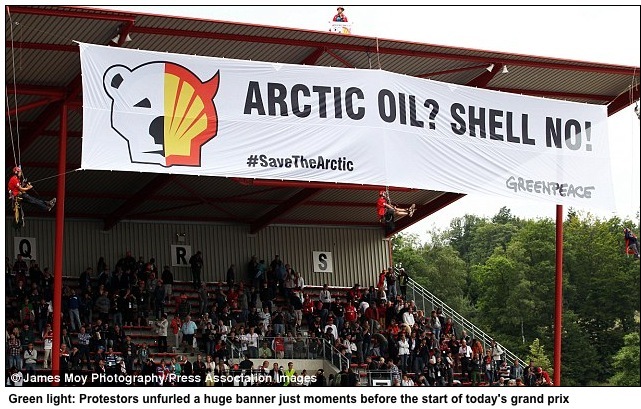 After two para-gliders flew over the circuit trailing a banner protesting against race sponsor Shell’s Arctic drilling plans, four activists from Greenpeace Belgium scaled the roof of the main grandstand in the hour before the start. This field is located in the Walker Ridge area, at a water depth of approximately 2,900 meters. Technip was awarded by Shell Offshore Inc. an engineering, procurement and installation contract for the development of subsea infrastructure for the Stones field. This field is located in the Walker Ridge area in the US Gulf of Mexico, at a water depth of approximately 2,900 meters (9,500 feet). The development will host the deepest floating, production, storage and offloading (FPSO) unit in the world and will be Shellâ€™s first FPSO in the Gulf of Mexico.